A card based puzzle gaming featuring 1000 adorable sheep! 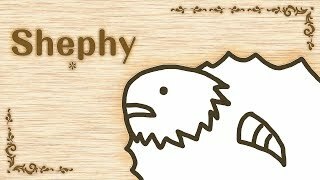 “Shephy“, the single-player card game with cute and lovely illustrations that keeps players coming back for more, is here! The main goal of the game is to increase your sheep count to 1000. Using a combination of event cards, achieve your goal before the deck is emptied 3 times. Let’s go sheep. Using a combination of event increase your sheep count to 1000 before the deck is emptied 3 times. Intuitive controls make Shephy easy to pick up and play. Long press to view the description of each event card to view their effects. Enjoy the story of Shephy in the special “Post Love” game mode. In this mode, special rules may apply with each part of the story, so the game can be enjoyed differently. More chapters will be made available in free updates. Continue to collect your sheep beyond 1000 and go for the high score. Keep multiplying them and try to achieve the 7000 maximum. Shephy Appears on the Nintendo Switch!